Monk’s out on the open highway—but crime is a hitchhiker that won’t be ignored. 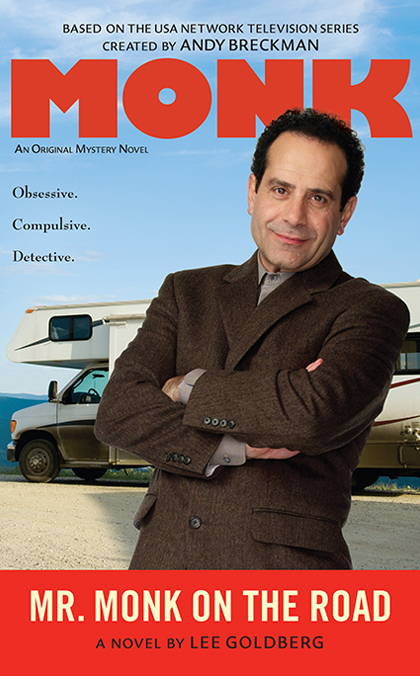 With his job secure and his wife’s murder finally solved, Adrian Monk is feeling strangely…satisfied. He’d like his agoraphobic brother Ambrose to feel the same way, so Monk puts a secret ingredient in Ambrose’s birthday cake: sleeping pills. When Ambrose wakes up, he’s in a motorhome on the open road with Monk determined to show him the outside world. But Ambrose isn’t the only one struggling to let go. As little crimes pop up along the highway, Monk can’t resist getting involved. Now it’s up to Monk to stop a murderer from turning their road trip into a highway to hell.